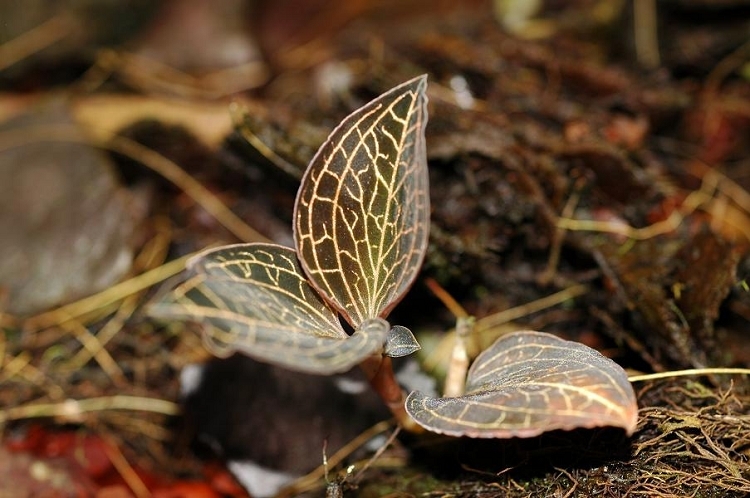 A very pretty species with coppery-pink veins over-laid upon dark burgundy leaves. Perfectly sized for the smaller terrarium. Low light, high humidity and consistent moisture will suit it well. Available plants are young and growing in 2" pots.